There was one house from Devon that I had a partial photograph of which was Eastleigh Barton, where the Merchants were living on the 1901 and 1911 census. 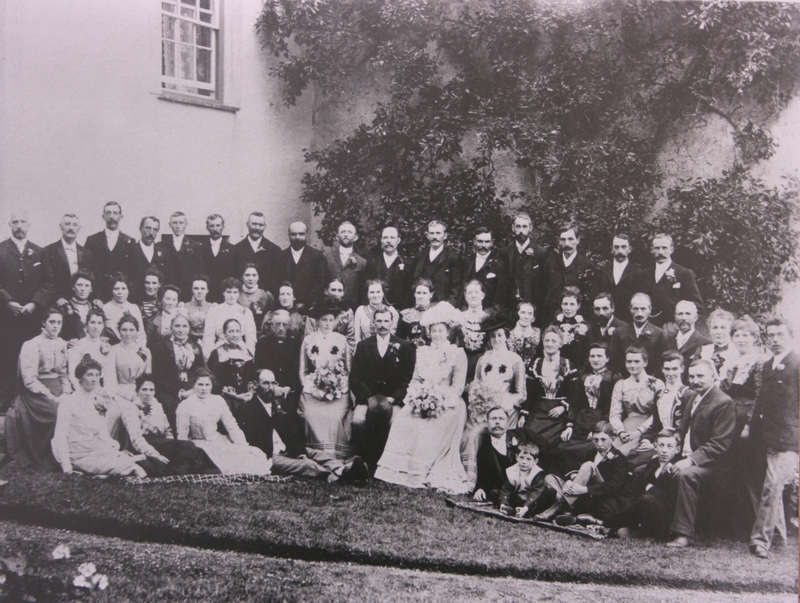 The photo was taken on 11th September 1901 on the wedding day of John Ashton Glass and Mary Maude Merchant. Just over One hundred years later, I took the photograph off the wall at my Grandparents house to scan it to the computer. Taped to the back is an envelope, inside written in my Great Grandmother’s handwriting (John and Mary’s daughter) are the names of everyone in the photograph she knew, missing only a handful. 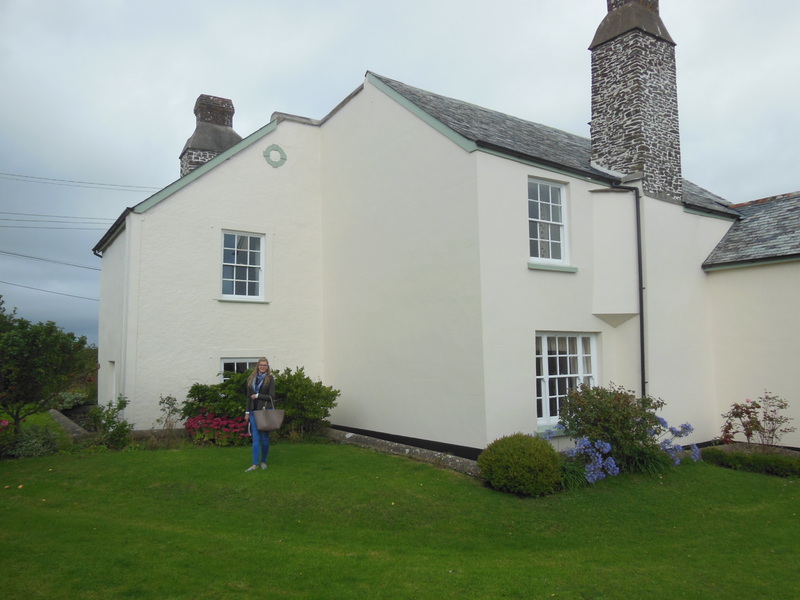 So while travelling around Devon, I decided to go visit the property. The family there were extremely welcoming and showed us round the property and farm yard explaining how it would have been back in the 1900s. The current farmer’s father walked round with us as he grew up nearby and remembered hearing about the Merchants. 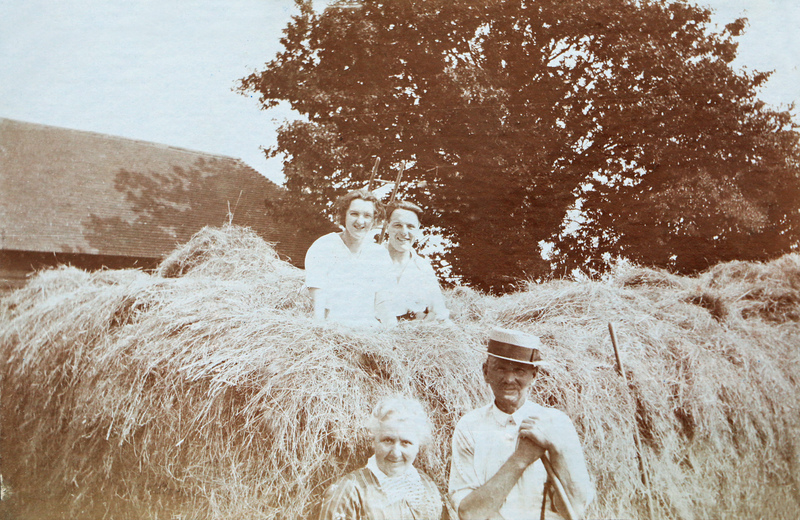 Photographs of my Great Grandmother’s family farming in Kent in the 1920/30s. I went to visit a cousin recently who has quite a few family albums in their possession which I’ve been really eager to look through. In them there were hundreds of old photos, while most were labelled and named a few were not. The ones that stood out to me were some hunting photos in front of a stately home. Where photographs of people are hard if not impossible to identify, I thought surely I could find this house. So I started by asking relatives who still live in the area is they had any ideas of where this house could be from, most likely it was in Kent but there is a slight possibility the house was from Devon where that side of the family originated. Having no luck with members of the family I decided to just try some searches online. I started with Lost Houses of Kent, while scrolling through the many photographs I was amazed by how many houses in Kent we have lost, and in the country. Half way down the search I found it, Calehill House of Little Chart, Kent which was demolished in 1952. Calehill was first mentioned in AD 839 when it was presented to the Monks of Canterbury. The estate belonged to the Sir William Darell and his family from 1410 until the 20th century. Over the years there have been three houses known as Calehill, The first house was built by Sir John Darell who died in 1438. The ruins are just south-east of current house, it is stone rubble which includes a 15th century window. The house from the photograph was built in 1740 by Philip Darell to the south east, the house was demolished in 1953 after it was considered too badly damaged from being used in the Second World War. However one of the side wings still survives as it houses the chapel which as a consecrated building could not be destroyed. Before the house was demolished the whole estate was sold off at auction on 1st July 1952 at The Saracen’s Head Hotel, Ashford Kent. The estate was auctioned by Messers Knight, Frank & Rutley, Hubert F Finn-Kelcey and amalgamated by King & Ashenden. The Auction Catalogue lists details and some photographs of the estate. There was a total of 54 lots being sold ranging from the mansion house to small cottages, the whole extending to about 1,433 acres. Described in the catalogue “The Georgian mansion is of imposing elevation with two bell turrets and is built in mellowed brick with slated roof. It was erected in 1740. A wide terrace with stone balustrading and steps lead to the columned Porch of the Main Entrance.” the house accommodation is listed after which includes a Music Room, Snuff-Bottle Room, Chinese Room, The Armour Hall, The Library and a Chapel on the ground floor. Upstairs there are eleven bedrooms across two floors. There is also staff accommodation, with three men’s bedrooms and a bathroom with W.C on the first floor. In the first floor wing there are ten maids’ bedrooms with a bathroom with W.C. The gardens and grounds looking over the hills to the north-east with sloping lawn, wooded banks and shrubbery. To the South-west are spreading lawns shaded by ornamental trees and park-like timbering, a graveled terrace, an old walled garden. Lowers lawns with pond and a swimming pool about 80ft by 20ft (24m by 6m). The water main connects the swimming pool to the fire hydrants around the house. The Kitchen garden is entirely walled with espalier and other fruit trees, Peach House and cold frames. Calehill House is just one of 1,991 houses that have been lost in England since 1800s, through demolition, severely reduced in size, or are ruined. You can view the list here, Lostheitage.org.uk are aiming to have an image and history of every house in their list. When I find an old album, the main thing I hope for is that the photographs have been labelled. But thankfully my great grandmother saved me some work trying to figure who everybody was, as well as having some wonderfully intriguing photographs from the 1920s and early 1930s of family and friends. 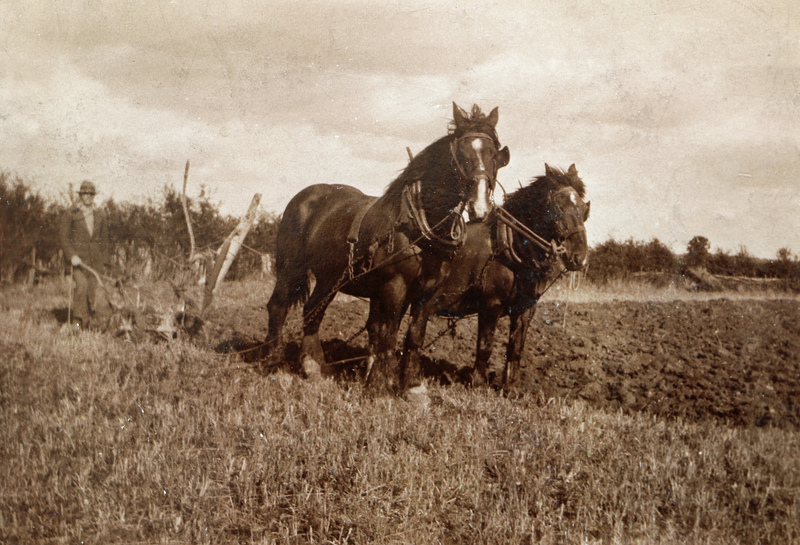 When Thomas Merchant was in his early 20’s he sailed over to America to farm, he settled in Canon City, Colorado. 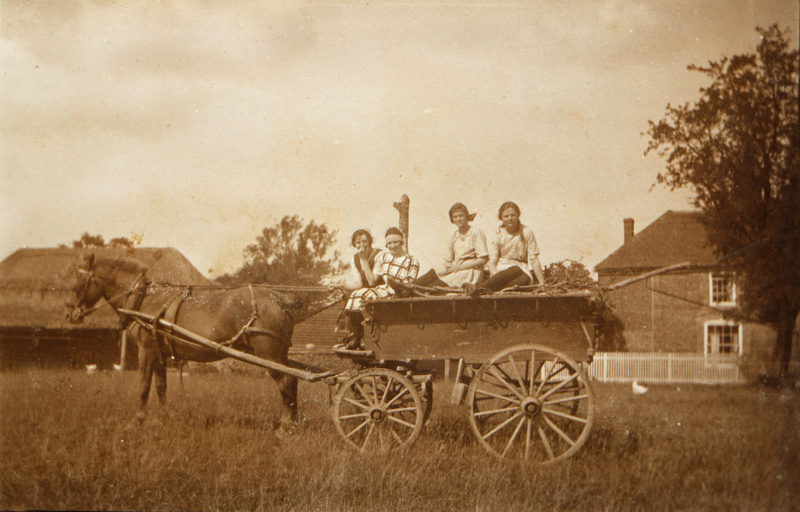 While there he became friendly with two brothers and two sisters, Anne Houle, Eliza Shapand Houle, Richard Houle and George House from Bishop’s Tawton, Devon. The family were also there with their distant cousin ‘Ned’, in an interview for the local Herald over 60 years later Thomas recalls that Ned showed him a photograph of ‘a very handsome girl’ and said “That’s my sweetheart”. Thomas told Ted that he will return to England and marry his girl within six months, and to this Ned replied “If you do I will blow your brains out”. 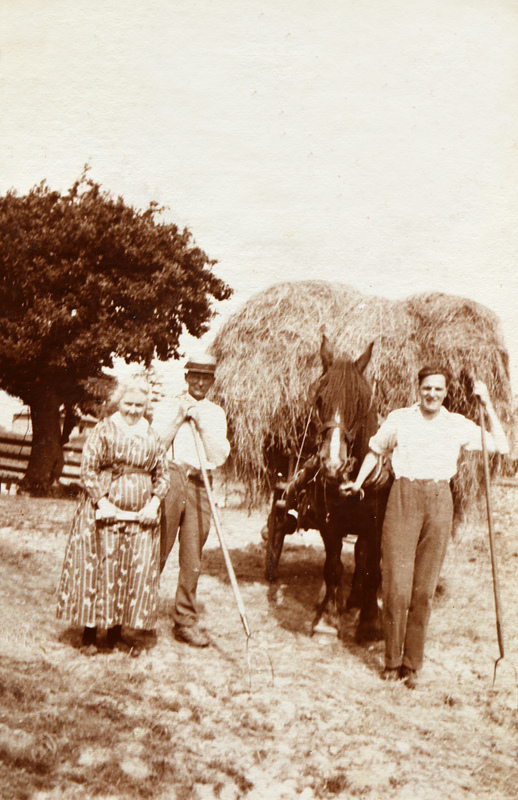 Thomas kept true to his word and when he returned to England in 1877 he went to visit Mr and Mrs G Houle, who were farming at Wellesley Barton, Bishop’s Tawton, Devon. He came with news from America of the passing of two of their children, Eliza Shapland Houle and George Houle. While he was there the couple introduced him to two of their daughters, Ellen and Hannah. Thomas recalls his meeting the family in his interview “I saw at a glance that neither was the girl of the picture. Haven’t you got another daughter I asked, and Mrs Houle told me there was another daughter called Margaret, who was working in the brewery house.” So he met the girl of the photograph and keeping to his word six months later they were married in Bishop’s Tawton Church by Rev. H F Baker on 12th September 1877. Just 16 days after they were married they set sail for Australia. When Thomas had finished his account of their courtship Margaret added to the interview by saying “Ned was very fond of me, but I did not think much of him. He was not smart enough. Tom was the smart one”. 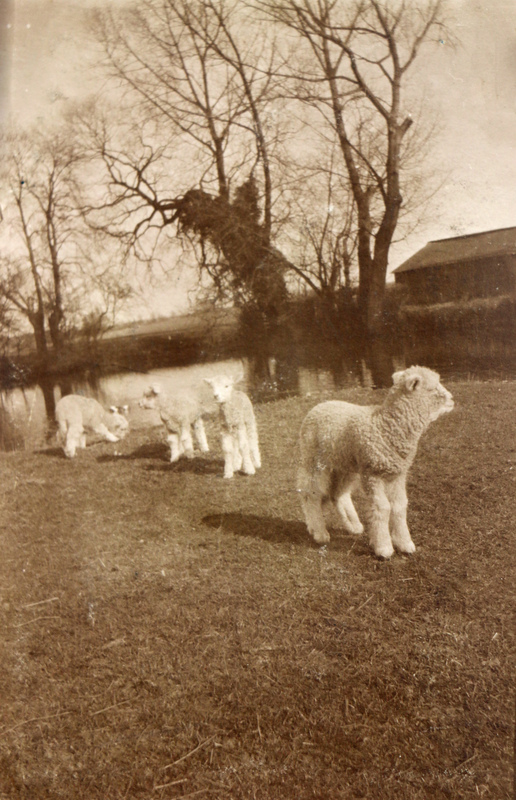 The journey to Australia could have taken them up to four months, in Australia they settled on a large sheep farm at Gostwyck, near Uralla, New South Wales which is about 6 hours to either Brisbane or Sydney. While farming in Australia Thomas kept a pack of Kangaroo hounds, which ran by sight like greyhounds and it took a good horseman to keep up with them. Thomas was noted for the way he was able to keep up with them and his exciting duels with kangaroos, his employer’s sons were very fond of going out hunting with him in the early hours before they started the days work. At the end of 17 years in Australia Thomas wanted to return to England, with his wife and three children. 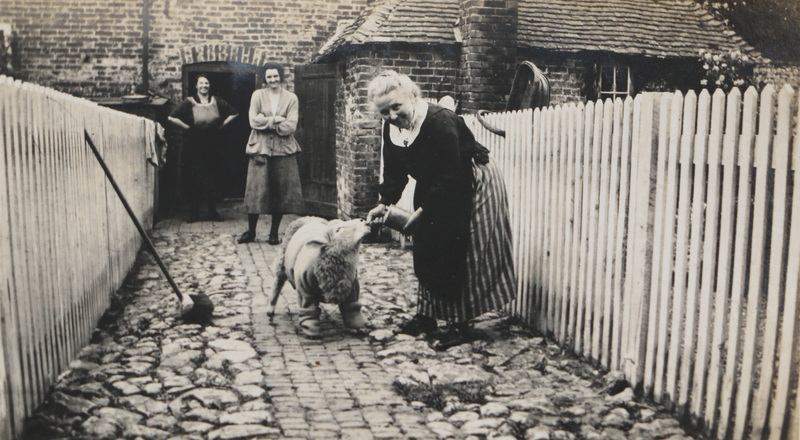 His employers were anxious to keep his employment and offered him 12 months’ holiday, but Thomas preferred to take his family home and settle in England. On their journey back to England they recalled how they passed by the Cuzgo, the vessel they had sailed to Australia 17 years before. 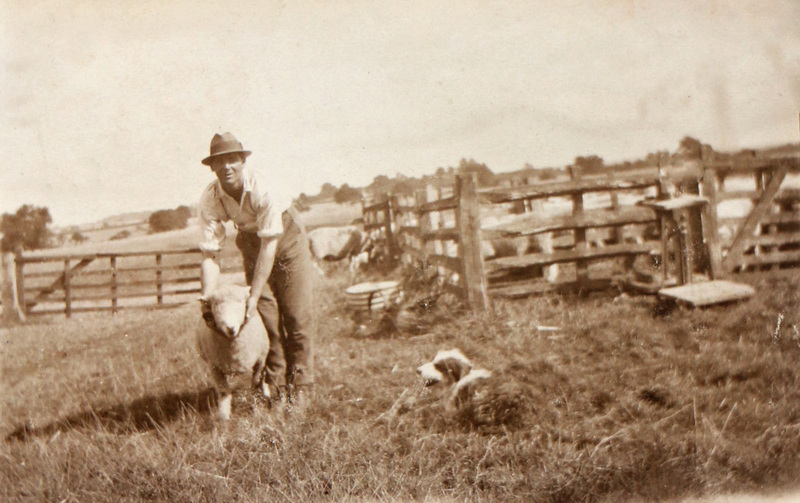 Back in England they settled in Eastleigh Barton, near Bideford, where Thomas became a well-known sheep breeder. 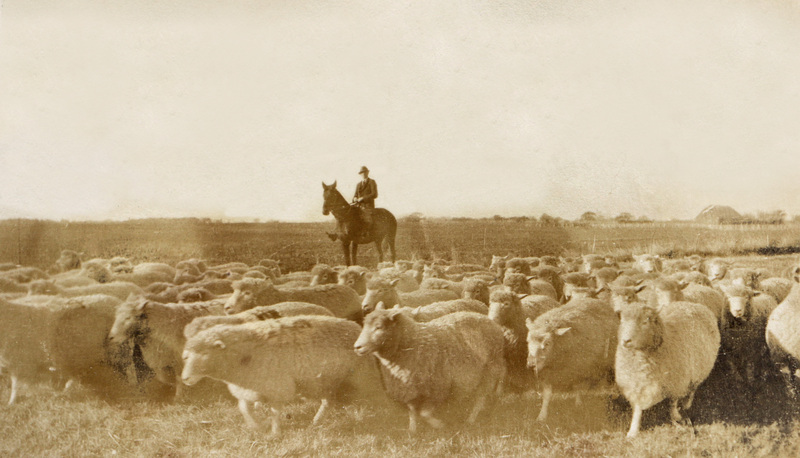 He introduced a new drench to the farming community for weakly lambs, which he marketed for many years as “Merchant’s Australian Lamb Drench”. 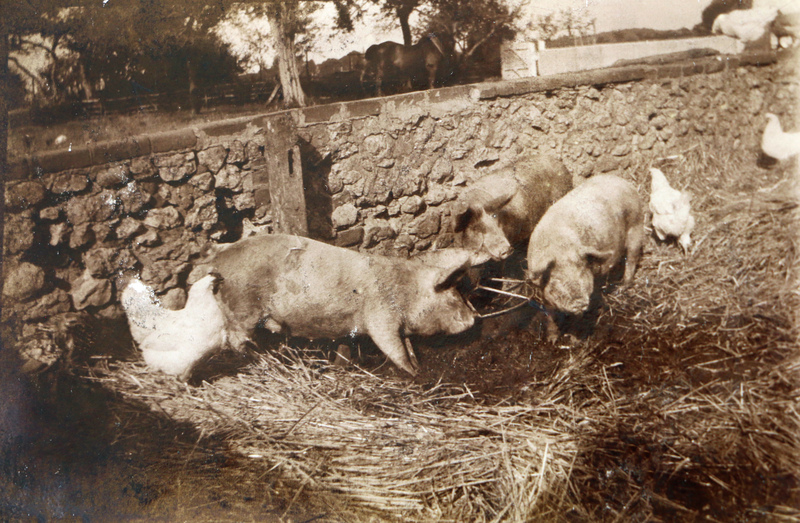 This became a well-known remedy among sheep farmers and at the time of his interview in 1937 the product was still being produced and sold by his son. After 17 years at Eastleigh Barton, they retired to live at “The Laurels”, Rumsam, Barnstaple where they stayed for 25 years before moving to “Uralla”, Fremington next door to their daughter Gertrude who’s house had been called “Gostwych”. 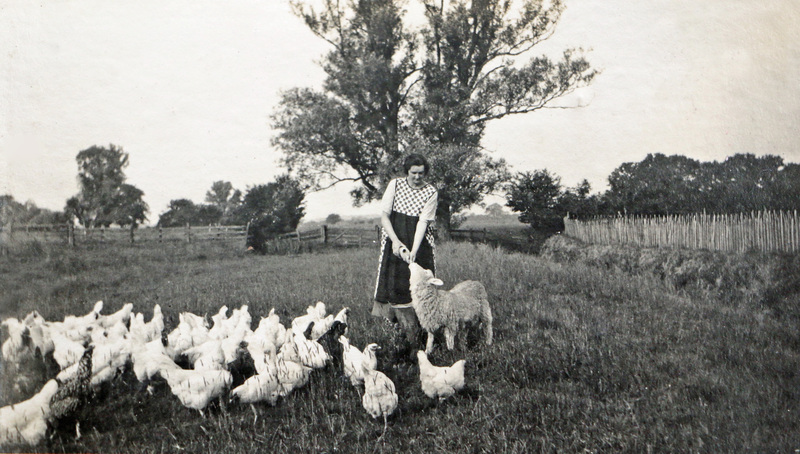 Thomas still kept the photograph of a young Margaret which he brought back with him from America 60 years earlier. Among Margaret’s treasures is a heavy gold ring which on her return to England she had made from a gold nugget that she herself had washed from a friend’s gold mine while in Australia. Both aged 85 years of age when they celebrated their 60th Wedding Anniversary in 1937, both were still in good health. They were both Conservatives and had always been devoted Church of England members. Most of the family gathered at their son’s home at Bridgewater for the celebrations, among all their well wishers was a telegram from the King and Queen. Sadly in December of 1937 merely three months after their anniversary Thomas Merchant passed away. 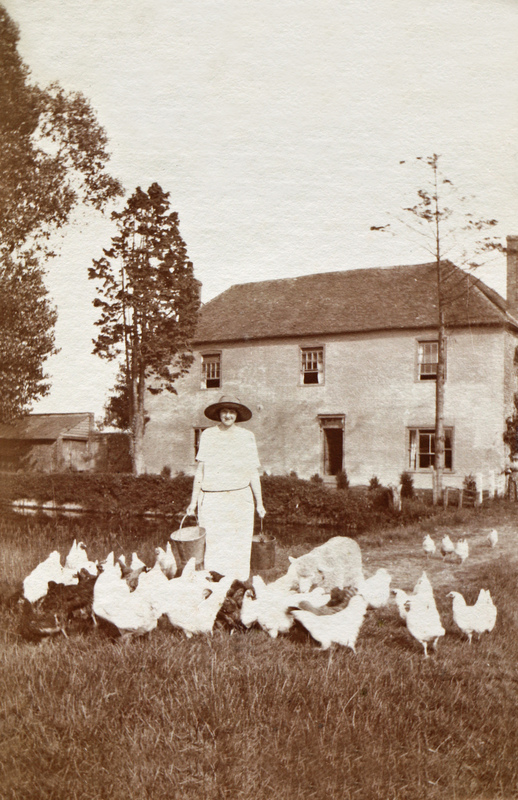 His wife Margaret lived on a few more years and died while visiting her daughters’s family in Ashford, Kent. Margaret’s body was taken to Somerset to be buried with her husband and his family in Wiveliscombe churchyard, Somerset.